KJU to allow int’l inspectors into Punggye-ri site, which collapsed in Apr. It’s also where 200 people were killed last Oct when tunnels under the mountain site caved in. Wonder what those tunnels, located 50 miles fm China’s border, were really used for. Q linked to 2nd tweet instead of main tweet re: KJU allowing inspections. Collapse of tunnel under Punggye-ri last Oct attrib to past nuke tests. Was that the REAL reason? NK named worst county for human trafficking for 16th yr.
Another “future proves past”! Today before leaving for FL @realDonaldTrump told reporters he had no plans to fire RR. DS tried to bait POTUS to fire RR (NYT “wire” story) = crossing “red line”. 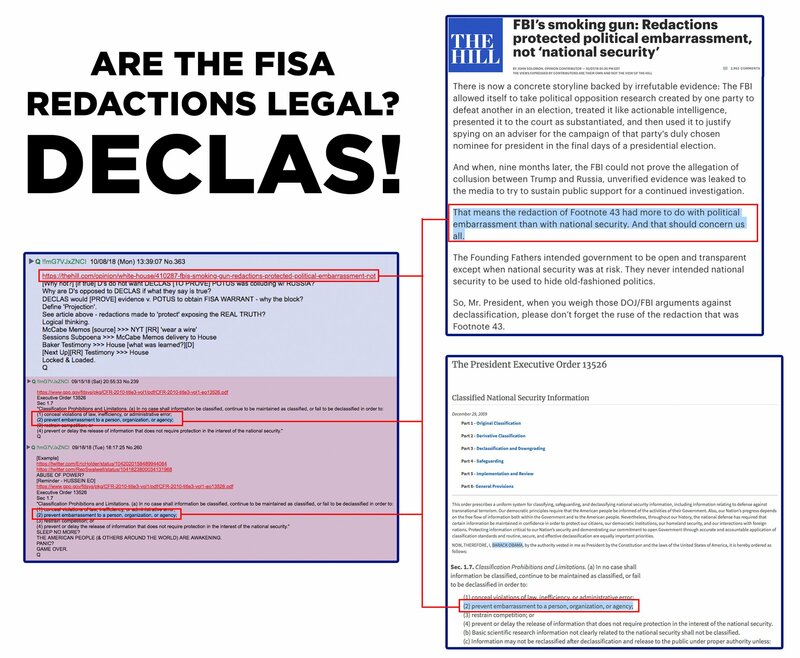 POTUS won’t need to fire post-FISA DECLAS. Sessions will. 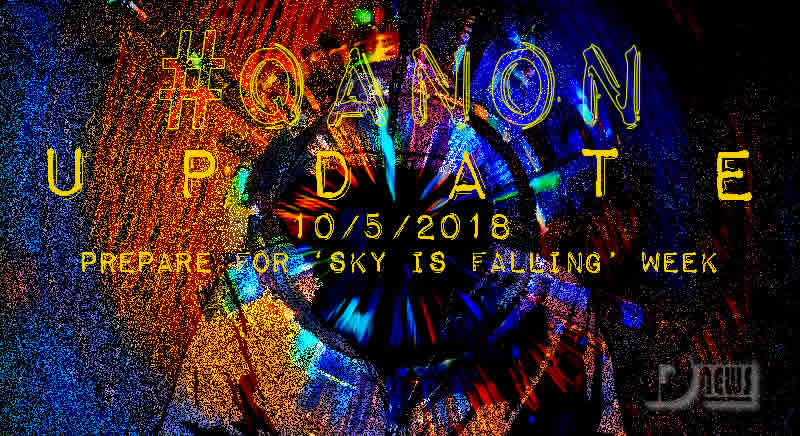 And yet another “future proves past”. Q told us on 28 Sep Dems would promise to impeach Justice K, if confirmed, to motivate sheep to vote for Dems in midterms. Need 2/3 Senate vote to impeach. Won’t happen. #FoxNews article on the new phase of the #Dimm #Playbook that is being invoked. The #Narrative will be just like all of those that came before, much posturing & bluster, no #Substance. If Dems believed @POTUS colluded w/Russia & FISA warrant justified you’d think they’d want us to know. Redactions aren’t protecting intel sources/methods; they’re protecting Hussein admin coup attempt vs POTUS. Baker testified re: DNC – FBI collusion. #TheHill reports on early redacted portions of the #IGReport. Hidden within, #JamesBaker had met with a lead #DNC lawyer. After, we learned his name is #MichaelSussman. We all know the reason for releases with redactions. #McCabe drops his memos to the #NYTimes, which results in a #Subpoena from #Sessions & #Baker’s testimony brings new revelations. Next comes testimony from the ever #Arrogant #RodRosenstein. 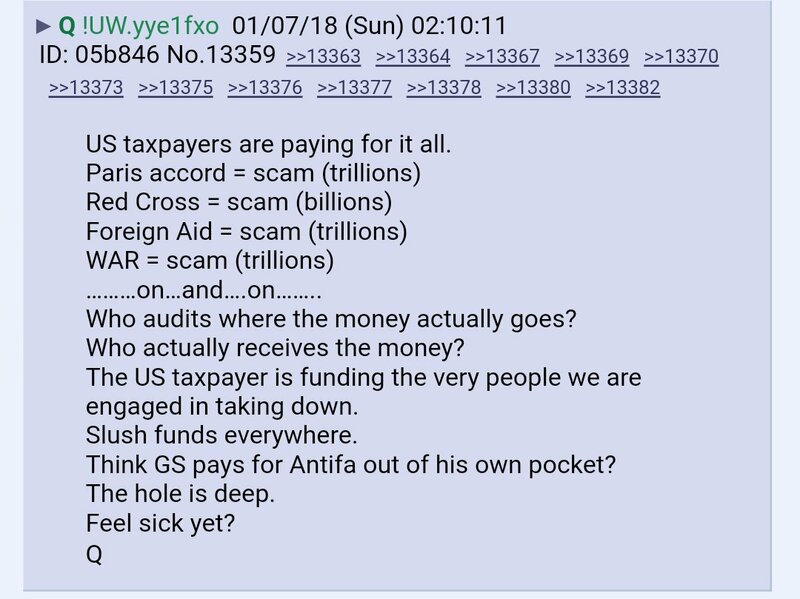 Q told us on 7 Jan re: scam slush funds that WE are paying for! Judicial Watch rpts on State Dept & USAID working w/Soros group to channel funds to ‘Mercenary Army’ of far-left activists in Albania. Those perp walks can’t happen soon enough!! In theory, the #USTaxpayer is footing the bill, enabling #Corruption !!! Video of @DevinNunes discussing Baker testimony re: DNC lawyer feeding FBI dossier info, RR upcoming interview w/House GOP & DNC collusion gained 113K+ new views since link shared yesterday. View count would be much higher if not suppressed by YouTube. 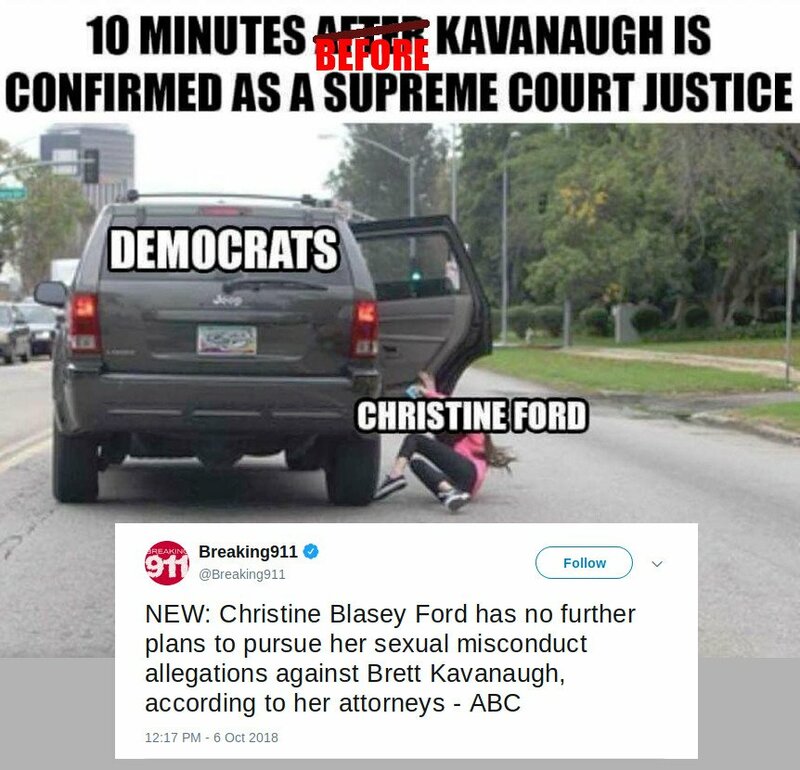 DiFi showed true colors during Ford “Wrap-Up Smear” campaign. It was never about her OR Justice K. Dems planned to use vs ANY nominee that would tip SCOTUS to the right. Ford’s lawyers said they wouldn’t further pursue charges BEFORE confirmation vote. So much for the #Playbook’s low profile. This REALLY pisses me off! These big tech companies claim “security breaches”/”bugs” exposed our private data but it’s all BULLSH*T! It was intentional. They’re passing on our personal info. They need to FRY! #Panic grows & efforts expand. Two words: HELL NO! 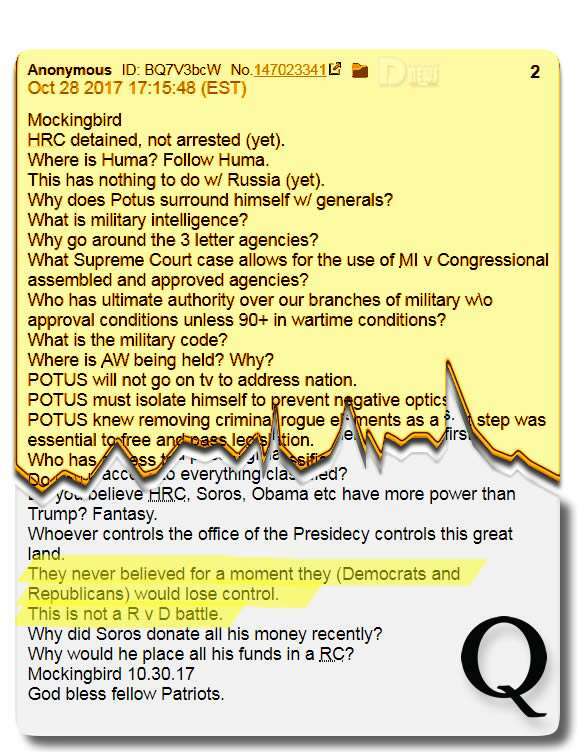 Hopefully RR and @realDonaldTrump discussed when & how the DECLAS FISA docs will be released to the public. Needs to happen NOW! He is scheduled to be “interviewed” by House GOP members on Thurs (11 Oct). Assuming, since IG report showed Comey used Gmail for official business, (shared password w/others) there’s a court order to preserve all data/emails sent to Google. Are they going to blame a “data breach” for missing info? What part of “We have it all” don’t they understand? 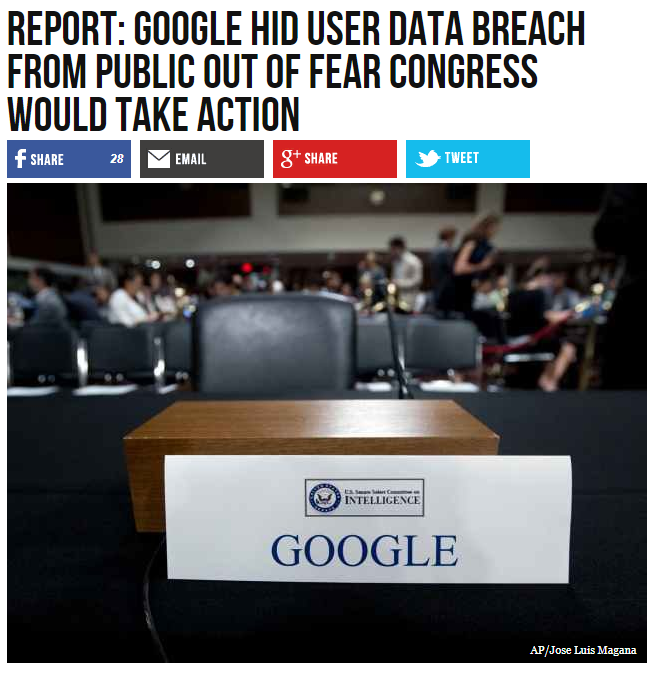 #Breitbart on the #Corruption of #GOOG.